A very special place to experience a holiday in the wilds of Wales. Alltybrain Farmhouse B&B, The Hayloft and the two Alltybrain Cottages are a great holiday destination for a riding holiday where you and your friends can bring your own horse to stay for a holiday too. 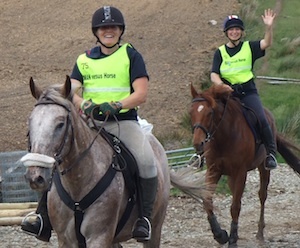 With plenty of exciting riding trails for the intrepid horseback explorer you can ride directly from the farm or box a short distance to access the Beacons, the Eppynt, and the Three Rivers Ride. The horses enjoy their holiday with a choice of special paddock with a view and/or a large stable with wash-down facilities and a place to mount and dismount undercover. There is a pub within easy walking distance! 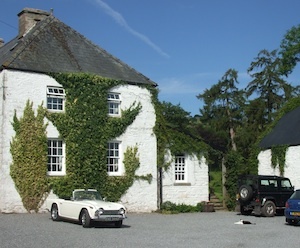 Welcome to the online home of Alltybrain Farm — exceptional holiday cottages near Brecon. Our self catering cottages in Wales include Damson Cottage, Duck Cottage and the Hayloft. We also offer Farmhouse B&B accommodation and short break nightly accommodation with a Ride and Stay option for horse owners, keen walkers and mountain bikers who are looking for a great getaway. To experience the hospitality and warm welcome of a Welsh country holiday cottage, or B&B in an old farmhouse please consider Alltybrain Farm as a good choice for a memorable holiday in Wales. Our holiday cottages and bed and breakfast accommodation are 4 miles from Brecon and have been tastefully renovated and furnished to provide high quality comfortable accommodation in the original stone farmhouse and self-catering cottages. 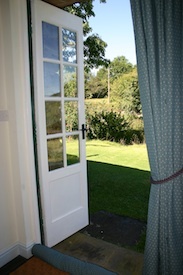 We have Wi-Fi in the cottages and the farmhouse. Nightly B&B rates, two-night short breaks and affordable weekly rates in our self catering cottages in Wales are available all year round. Each cottage is spacious for two guests wishing to explore the Brecon Beacons National Park and Mid Wales whilst enjoying the comforts of a lovely cottage with beautiful views from every window. 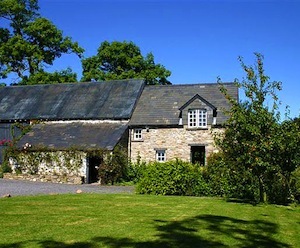 Alltybrain Farmhouse B&B and Alltybrain Farm Cottages offer a break from the pressures of daily life and a peaceful retreat for a holiday in the welsh countryside.